The EUR/USD currency pair is moving according to our forecast, and currently the price is forming the descending symmetrical pattern with the target in the area of 1.3040. 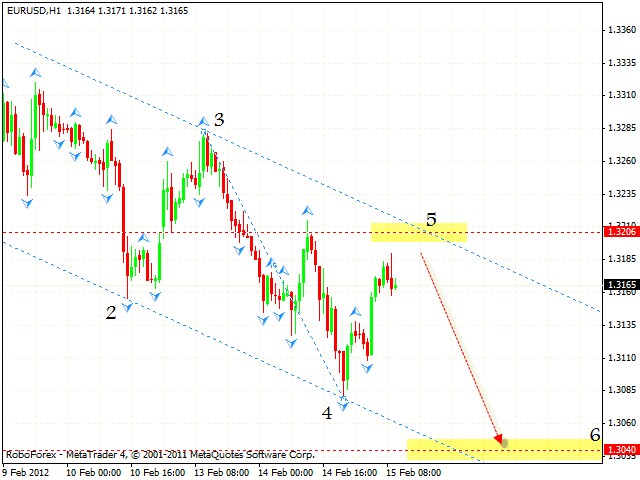 One can consider selling the pair near the level of 1.3200. If the price leaves the channel, this case scenario will be cancelled. Pound is also moving according to our forecast. At the moment one can consider selling the GBP/USD currency pair with the tight stop placed above the channel’s upper border. The target of the fall is the area of 1.5560. 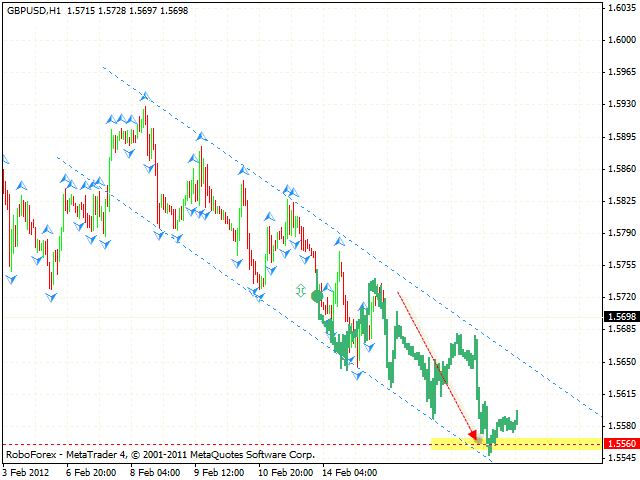 If the price breaks the upper border and leaves the channel, one is recommended to close short positions. 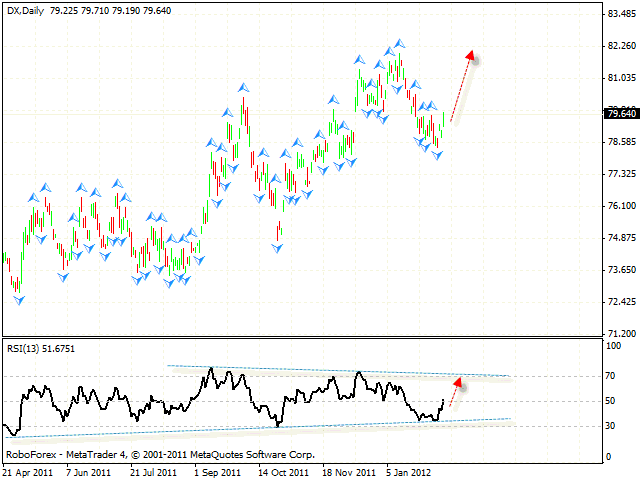 Franc was supported by the trend’s rising line, we should expect it to rebound from the line and start moving upwards. 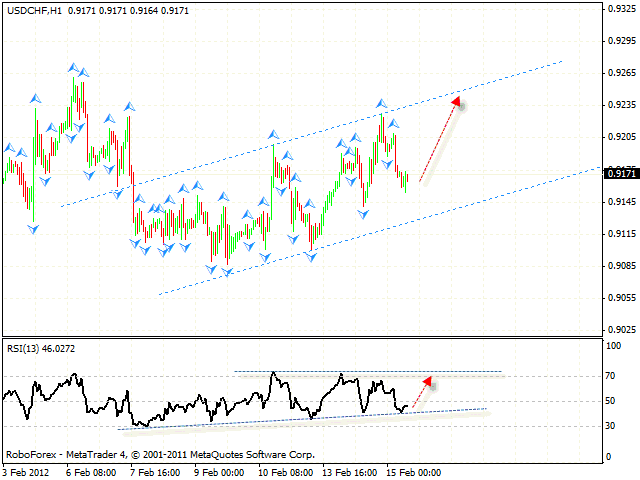 The target of the growth is the channel’s upper border in the area of 0.9240. One can consider buying the pair with the tight stop below 0.9145. If the price breaks the channel’s lower border, this case scenario will be cancelled. Dollar Index rebounded and started moving upwards. The target of the growth is a new local maximum in the area of 82.26. There is a possibility that the price may form “head & shoulders” reversal pattern, in this case the pair will grow up much faster. In the near term, we can expect American Dollar to move upwards.